A battery pack that’s the complete package. 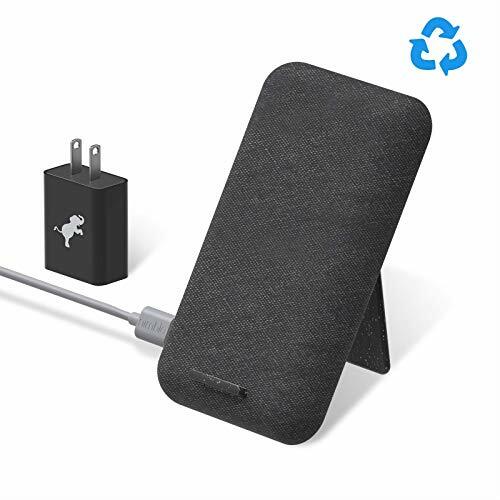 I recently reviewed Nimble’s wireless charging stand and learned about this relatively new company’s mission to produce eco-friendly tech products. To this end, Nimble uses recycled materials for product housings and packaging, and even includes a bag and free postage for you to return unused gadgets to the company for recycling. Now it’s time to take a look at one of the company’s battery packs—specifically, the 10-Day Fast Portable Charger. The name reflects the company’s claim that the battery pack is powerful enough to keep your phone charged for 10 days, assuming you only need to charge it once per day. I didn’t test the 10-day claim, simply because that doesn’t conform to the testing standard we’ve used for all the battery packs we’ve tested and plan on testing. But as you’ll see below, this pack is extremely efficient. Indicator lights tell you the pack’s charge level; a light at the end will turn orange if a connected device is fast-charging. Internally, the pack has a 26,800 milliamp-hour (96Wh) capacity capable of speeds up to 18W using Power Delivery (PD). On the front of the pack, you’ll find three USB-A ports, one of which provides fast charging of up to 12V at 1.5A speeds, and a USB-C PD port. The USB-C port is also used to charge the pack itself. On the left edge of the pack are a blue power button and six indicator lights. Five of the LEDs are used to represent the charge level of the battery pack. When a device is connected to the pack, the sixth indicator light will turn green to indicate it’s charging a device, or orange to let you know that it’s fast charging a device. I tested the fast-charging indicator with a Galaxy Note 9, and it indeed turned orange about 30 seconds after connecting the phone to the pack. I also tested a Pixel 3 XL with the same result. However, I had to use a USB-C to USB-C cable and not the included USB-A to USB-C cable to get it to work. 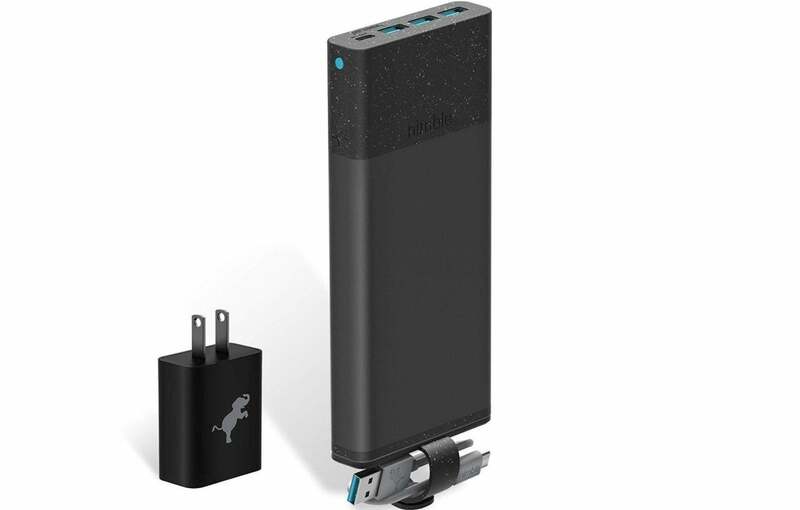 Using the included 30W wall adapter, the 10-Day Fast Portable Charger went from empty to full in 5 hours and 15 minutes. As for its overall performance, I was able to get 84.85-percent efficiency in my testing. Meaning, out of a potential maximum of 96Wh, the battery pack would run out of power after charging at 5V/2A speeds after 81Wh of use. That result puts it in the top third of the battery packs I’ve tested. An included magnetic cable holder that attaches to the end of the battery pack is a nice thought, but I found that any slight bump would knock it off the battery pack and it wound up lost. My biggest gripe, outside of the nearly pointless cable holder, is that the LEDs are so deeply recessed that you have to look at them straight on in order to see them. This story, "Nimble 10-Day Fast Portable Charger review: Eco-friendly and powerful" was originally published by PCWorld.